20 « May « 2016 « Nothing in Biology Makes Sense! I am a fan of the uncharismatic (so far I’ve studied plants, snails, trematode and will soon branch to bees). And there are few things in the world more universally charismatic than dinosaurs. Seriously, look no further than the Jurassic Park movies. 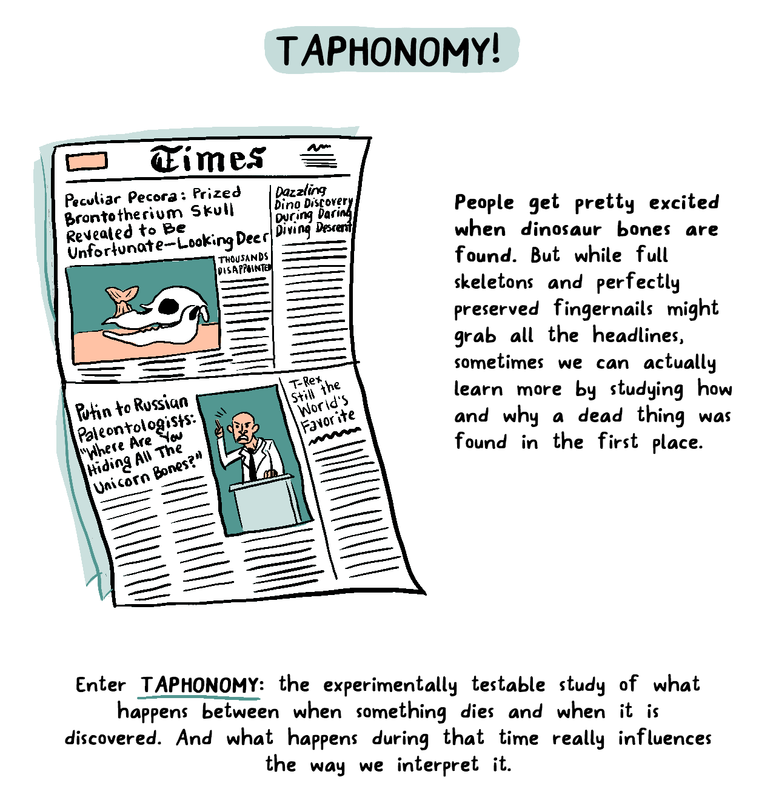 I promise that this is not the start of another AMAZING summer about dinosaurs (see last summer’s posts), but my love of the uncharismatic and my love of dinosaurs meet in this awesome comic about taphonomy! It’s the science of how bones are made into bones! And it’s a pretty cute cartoon. Go check it out! I haven’t seen the Corkboard of Curiosities blog before, but it looks promising!